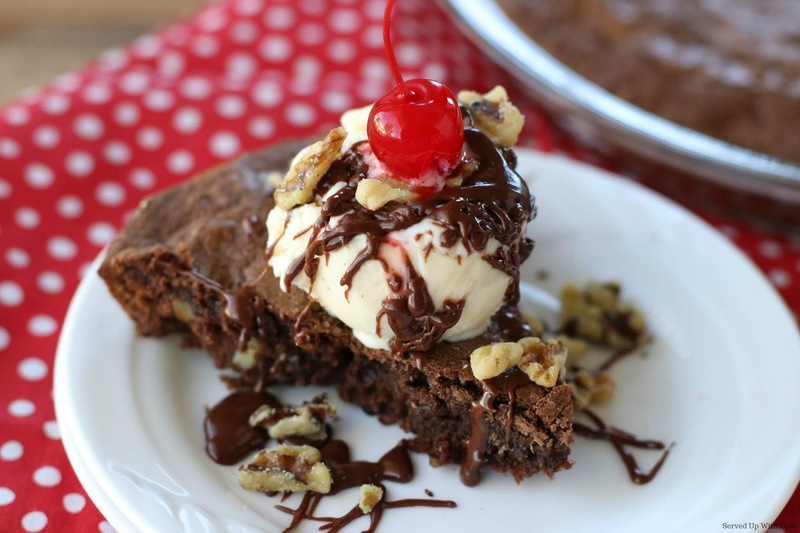 This Brownie Sundae Pie is what dreams are made of. It’s indulgent and over-the-top chocolatey. Plus, it's so ridiculously easy to make. I like brownies. I like pie. I like ice cream. Throw them together and everything is right in the world. In our family, we do holidays big. Our parents always made holidays a time when we would all come together. Usually that was centered around food. We all would pitch in with dishes to make it easier on whoever the host was. I almost always brought the dessert. Even though our parents are no longer with us, we still do holidays big. Each and every holiday is spent with family. I am very grateful our parents instilled that tradition within us so that we can pass that love onto the generations to come. This pie is so ridiculously easy to make. With just a few ingredients that are probably already in your pantry. It takes just minutes to mix and get it in the oven. 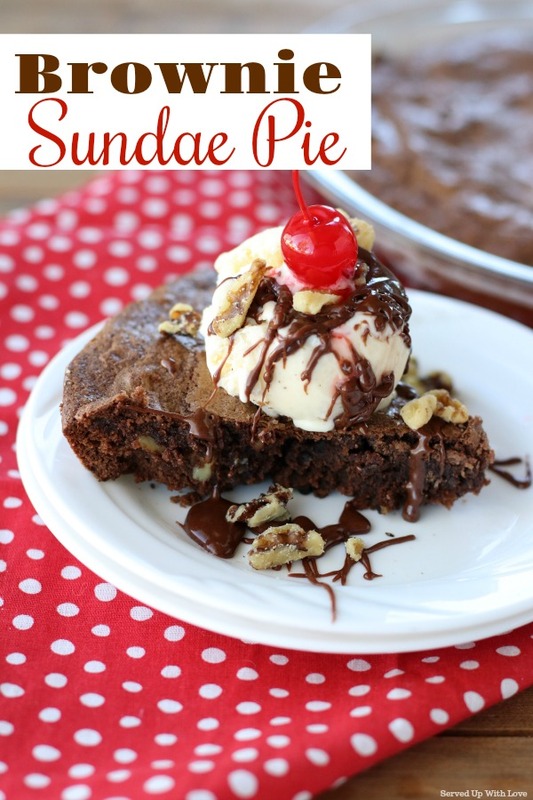 The pie alone is delicious but when you add ice cream, hot fudge sauce, and top it with a cherry, that is where the magic is. 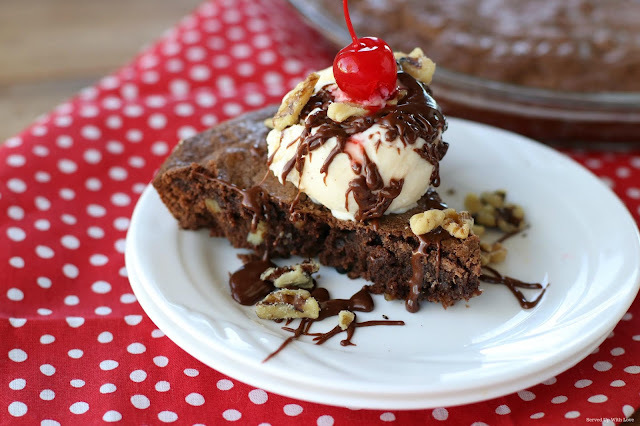 If you love chocolate, you will love this Black Forest Poke Cake and Cherry Chocolate Cake. They are perfect desserts to serve your loved ones any day of the week. 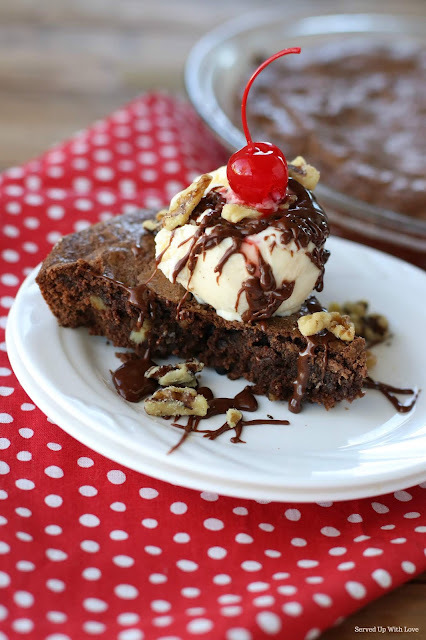 Indulgent and over-the-top chocolatey Brownie Sundae Pie is what dreams are made of. In a large bowl, blend together sugar and butter. Add eggs, stir well. Mix in flour, cocoa, and salt, stir in vanilla and nuts. Spread in a greased and floured 9" pie plate. Bake at 350 degrees for 25 - 30 minutes, until set. Cut into wedges. Serve warm, topped with scoops of vanilla ice cream and a cherry. Serves 6 to 8.